The countdown is now on to Build It – Aberdeen Construction and property Conference, which takes place on Friday 30th November at AECC. The inaugural conference is being organised with kind support from Ledingham Chalmers, W M Donald, Cameron + Ross, GPH Builders Merchants, The Property Management Company, McLeod + Aitken, Scotframe and XIC. One of the key objectives of the conference and exhibition was to provide a platform for the industry to come together, to share honest case studies and lessons learned, and showcase innovative new ways of working, for the benefit of the industry as a whole. For that purpose, we are bringing together 19 individual speakers, plus 4 specific panel discussions, and an exhibition of 21 exhibitors, to ensure that experts from across the North-east come together, to share their experience, opinions and ideas for continued provisional development. The full conference programme is attached for you to look through. 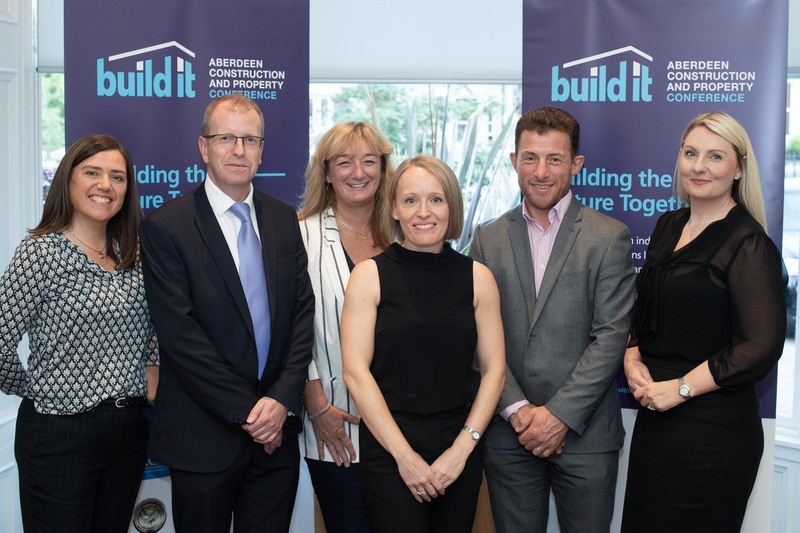 Over 100 delegates have already registered to attend the inaugural conference, and if you would like to secure your place, and ensure that you can join the discussions and debates, you can do so by visiting the Build It Aberdeen Eventbrite page. Conference guide, which includes details of all speakers, presentations, sponsors and exhibitors. Discounts are available on bookings of 5 people or more. Contact isla.stewart@mearns-gill.com for more information. There is also one sponsorship opportunity remaining, ‘Car Parking Sponsor’, which costs £1,000 + vat, and will ensure that every delegate receives free parking for the day, courtesy of the sponsor. This package also includes one delegate place, and your logo will be on all event marketing material. For more information on how to book your place at the conference and exhibition, contact isla.stewart@mearns-gill.com. ASA Design Awards 2019 – Open for Entries!